Unfortunately, about half of adults in the United States do not have the resources and plans in place for a possible emergency. Families can make emergencies less stressful by preparing in advance and working together as a team. Complete a contact card for each family member. Everyone should keep these cards with them at all times. Choose an emergency contact. Memorize the phone number if you can. A friend or relative who lives out of town might be easier to reach in an emergency. During an emergency, family members can text or call this person to let them know that they are safe. Make sure all your family members know how to text. Make sure everyone knows how to turn on a cell phone, find the text messaging app, type a message, and send it to a contact. Know emergency telephone numbers. Keep them in your cell phone and post them near your home phones. Some good numbers to have are your emergency contact, the fire department, police station, and hospital near you. Before making your disaster plan, it is important to know what types of emergencies are likely in your area and the best way to respond. For example, if tornadoes are common in your area, you will need to know what the warning signs are and where to take shelter. 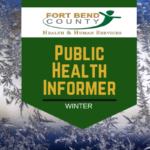 Check with your Local Red Cross chapter or Fort Bend County Office of Emergency Management for more information about disasters that might happen in your community. Find the safe spots in your home for each type of disaster. For example, during an earthquake you will need to “drop, cover, and hold on” under a sturdy desk or table. However, during a tornado, you would need to seek shelter in a lower level room without windows. Learn more about different types of disasters. Choose multiple meeting places. Different disasters may require you to go to different places. Make sure you choose a meeting place in your neighborhood, a meeting place just outside your neighborhood, and a meeting place out of town. Determine the best escape routes from your home. Find two ways to get out of each room. Practice, practice, practice. Review these plans with all members of your family. Practice your disaster plans by running drills with the whole family. Don’t Forget Pets! Think about what you would do with your pets, because they may not be allowed in emergency shelters. For more information, check out Preparing Your Pet for Emergencies.